Austin and Lucy Wilson, two children from Alexandria, Va., greet Museum Director John Wetenhall at the new museum opening. 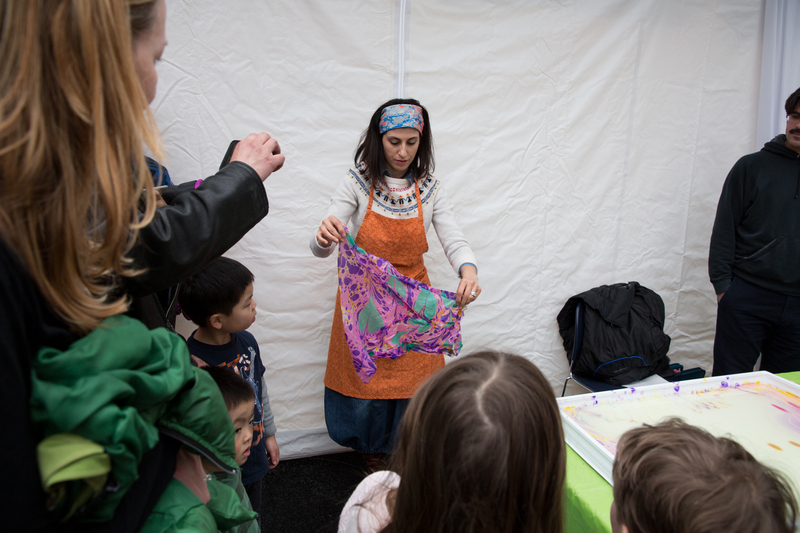 The George Washington University Museum and The Textile Museum opened with a splash, as more than 2,000 visitors attended a weekend of celebration activities and inaugural events. A long integration and construction process officially ended this week as GW debuted a 53,000-square foot museum complex on the corner of 21st and G streets NW—the home of the new jointly co-branded George Washington University Museum and The Textile Museum. 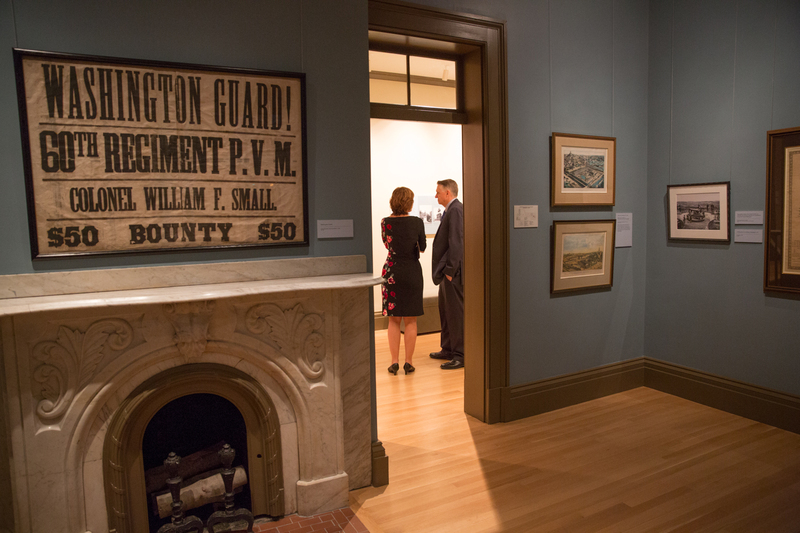 The custom-built museum is made up of the Albert H. Small Washingtoniana Collection of 18th- and 19th-century Washington ephemera, and the world-renowned collections of The Textile Museum, which moved from its former home in Kalorama to Foggy Bottom. 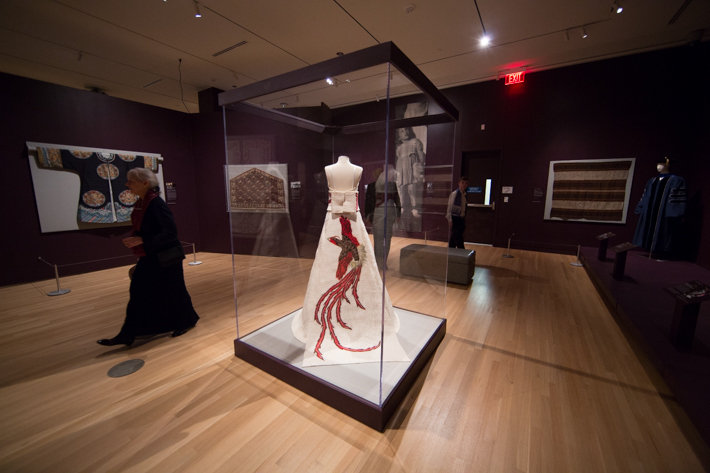 "Unraveling Identity: Our Textiles, Our Stories" is one of three opening exhibitions at the new museum. The museum festivities kicked off Wednesday with a flurry of receptions and evening events attended by Chairman of the U.S. National Endowment for the Humanities William “Bro” Adams, Ward 2 Councilmember Jack Evans (D) and Secretary of the District of Columbia Lauren Vaughan. The university honored Albert H. Small and invited D.C. historians, scholars and members of the GW community to thank the 2009 recipient of the Presidential Humanities Medal for donating his trove of 1,000 historic Washington objects to GW. 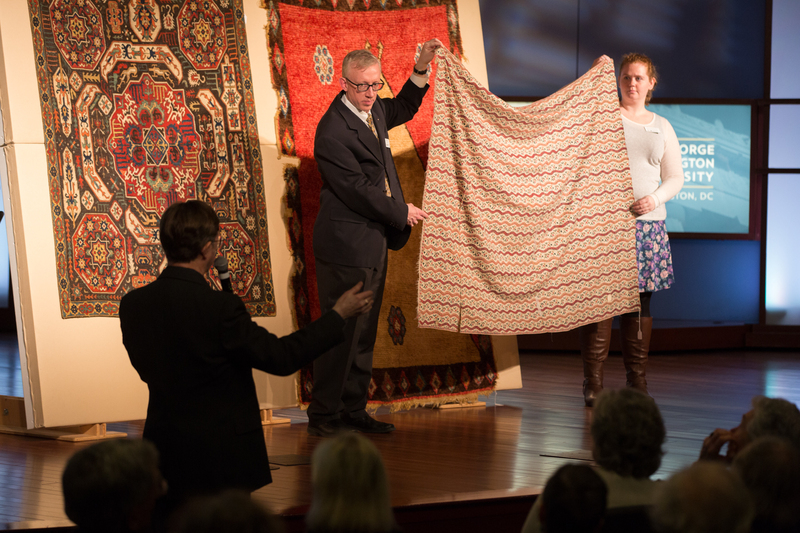 On Thursday night, The Textile Museum celebrated its new home on the Foggy Bottom Campus. The brand new, gleaming building opened to the general public at 10 a.m. Saturday. The first two visitors to make their way through the shining glass doors were Austin and Lucy Wilson, two children from Alexandria, Va. They greeted Museum Director John Wetenhall, who welcomed them into a buzzing open house festival, jam-packed with arts, crafts and cultural performances from around the world. University Internet radio station WRGW filled the main floor of the museum with music, while streams of students, faculty and staff snaked their way through the four museum exhibition floors. Guests craned their necks as they took in the high ceilings of the galleries and gaped at the stunning elliptical staircase spiraling down the lobby. The museum collections feature examples of fiber arts dating as far back as 3000 B.C.E. 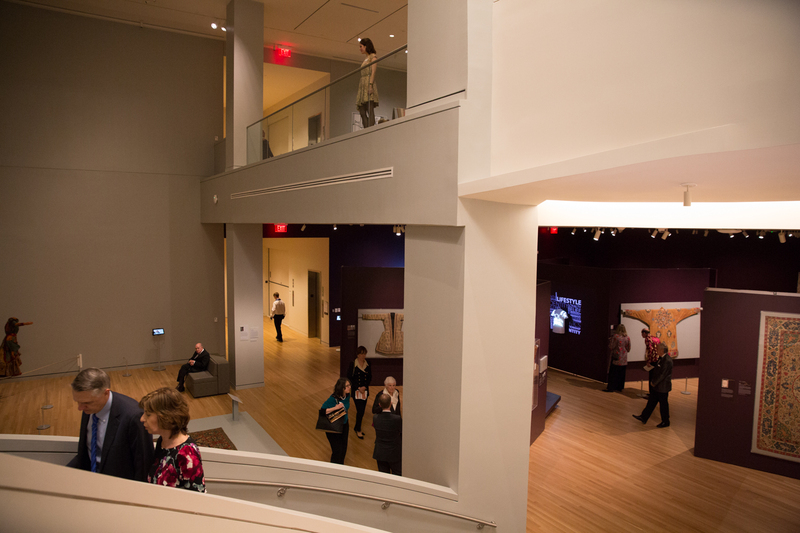 Saturday’s events gave visitors a chance to tour the museum’s inaugural exhibitions for the first time. 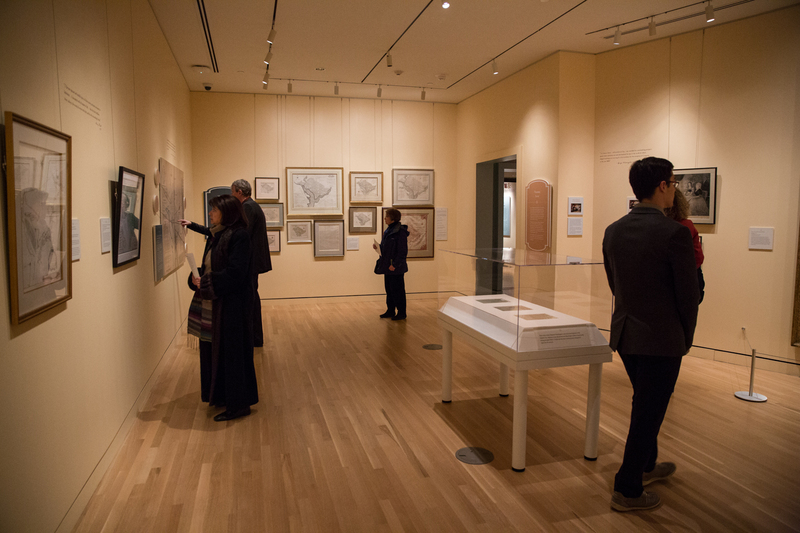 Three shows provide a glimpse into the best of the museum’s collections: “Unraveling Identity: Our Textiles, Our Stories” is the largest exhibition in The Textile Museum's 90-year history and displays more than 100 objects that communicate self expression; “Seat of Empire: Planning Washington, 1790-1801” uses maps from the Washingtoniana Collection to illustrate Pierre L’Enfant’s early plans for the city; and “The Civil War and the Making of Modern Washington” offers a look at how D.C. transformed throughout the 1800s to become what it is today. The two latter exhibitions were designed by GW students and curated by history professors, showing the myriad educational and cross-disciplinary opportunities that the new space will bring to GW. Museumgoers trailed the different galleries, eagerly pointing to artifacts, like handwritten letters illustrating George Washington’s calligraphy-like penmanship, and pieces of art, including a pair of beaded Converse sneakers, a Japanese bridal dress and a feathered Givenchy dress. 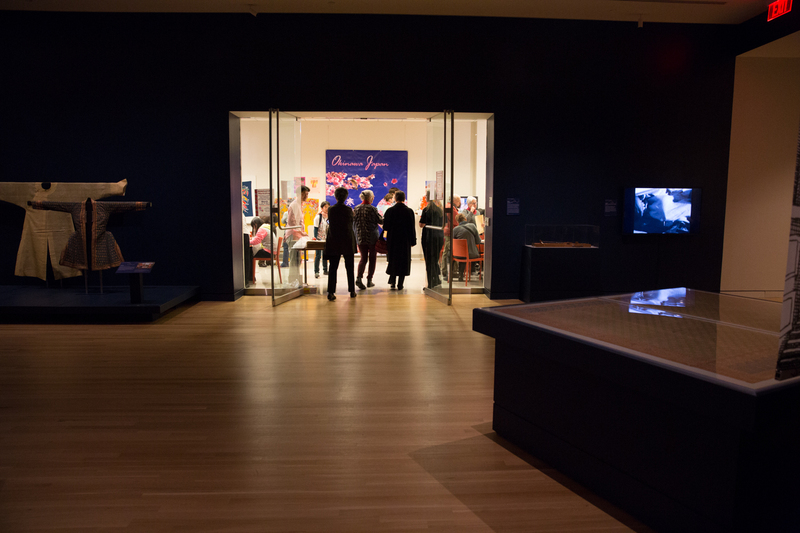 Between touring the newly installed exhibitions, some visitors ducked in and out of arts activities organized throughout the museum. 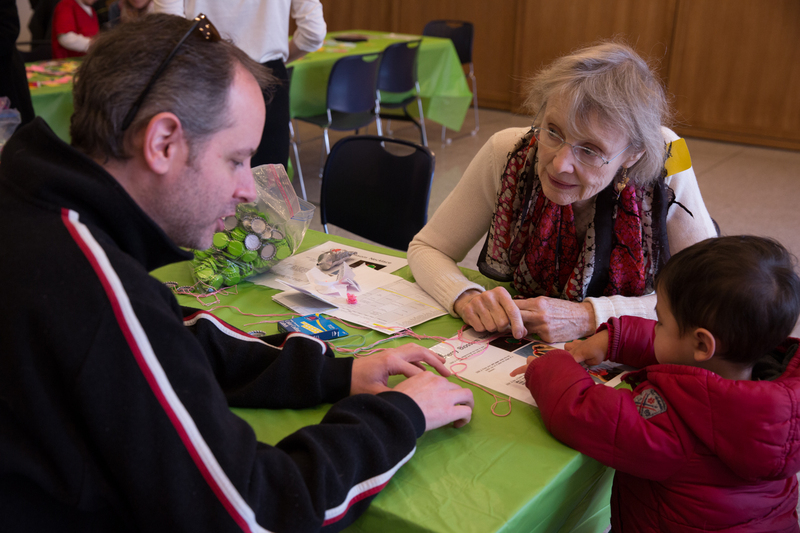 Guests had a chance to try their hand at workshops like origami-making, Japanese painting, and more. Huddles of museumgoers burst into laughter while trying on historic Washington costumes arranged in a dress-up booth in the Woodhull House. An interactive photo booth attracted crowds in the “Unraveling Identity” exhibition, inspiring visitors to think about what their clothing reveals about their identities. Guests gathered to have their pictures taken and share aspects of their personalities with others. A lineup of food trucks had been set up on University Yard, serving up dishes that represented the different cultures on display in each exhibition. Next to the food trucks, a tent offered performances from several student groups. The opening brought together GW Vibes, GW Balance, GW Bhangra, GW Raas, GW Chamak and the GW Troubadours, showing how the museum will gather and promote arts activities throughout the university. 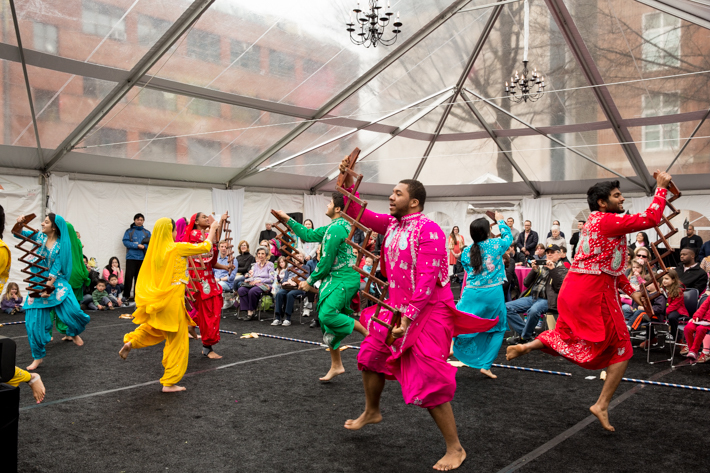 GW Bhangra performs at Saturday's museum opening. In addition to the celebration activities, opening weekend featured several lectures tailored to historians and textile scholars. 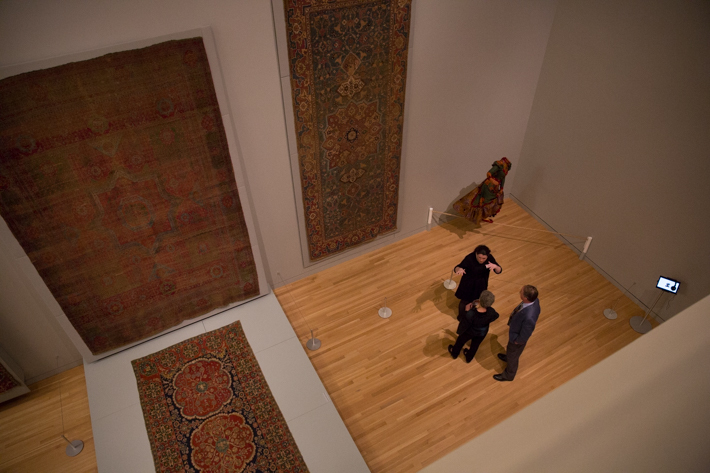 On Saturday morning, Jon Thompson discussed the mysteries embedded in oriental rugs, while Textile Museum Trustee Thomas J. Farnham shed light on The Textile Museum’s founder, George Hewitt Myers. Textile Museum Trustee Michael Seidman led a show and tell event later in the afternoon, where attendees could share stories about their own historic textiles. 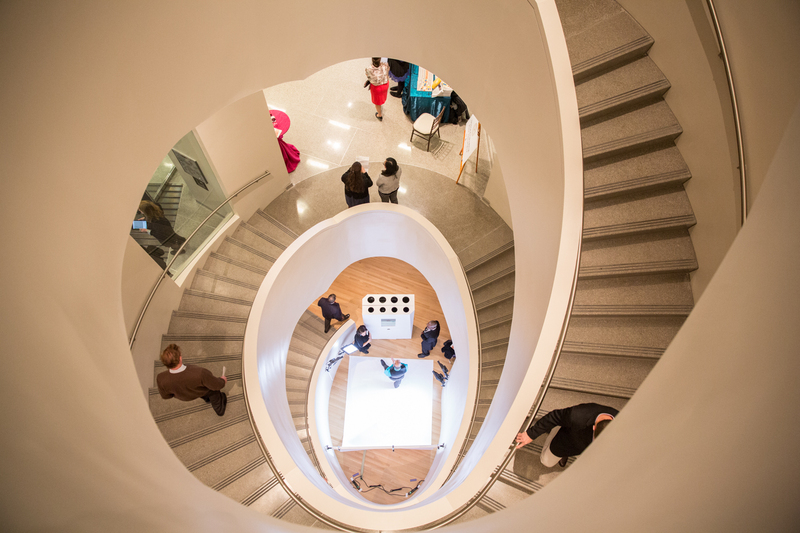 The opening’s lively combination of scholarly lectures and arts activities had attendees abuzz with excitement, and it was an appropriate representation of how the new space will energize both GW and the broader D.C. community. “This museum complex gives us extraordinary opportunities to reach out beyond the university to the greater Washington community. We’re planning a wide array of events with that in mind,” GW President Steven Knapp said. The celebration continued Sunday for local families and D.C. neighbors. 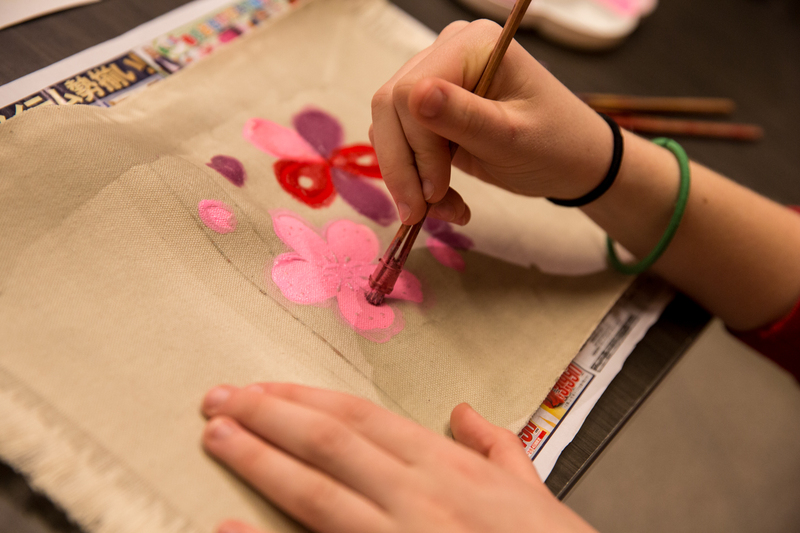 Activities included several popular programs from The Textile Museum’s Arts for Families series, like craft projects, weaving tutorials and other hands-on workshops. Second-year graduate student Lauren Shenfeld, a Presidential Administrative Fellow, has been working at the museum for the last two years. She said the weekend’s events were a culmination of the staff’s work, and illustrated the museum’s mission of bringing communities together through arts and history. “We’re so proud of the successful opening, and I think it really showed how the museum is going to offer so much through its programming, events and energy,” she said.